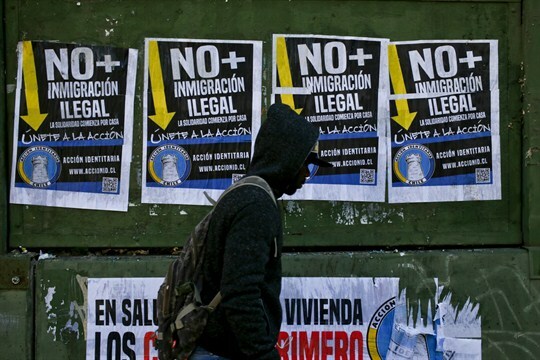 A migrant walks past anti-immigration posters that read in Spanish “No more illegal immigration. Solidarity begins at home,” Santiago, Chile, Aug. 20, 2017 (AP photo by Esteban Felix). Editor’s Note: This article is part of an ongoing series on immigration and integration policy around the world.